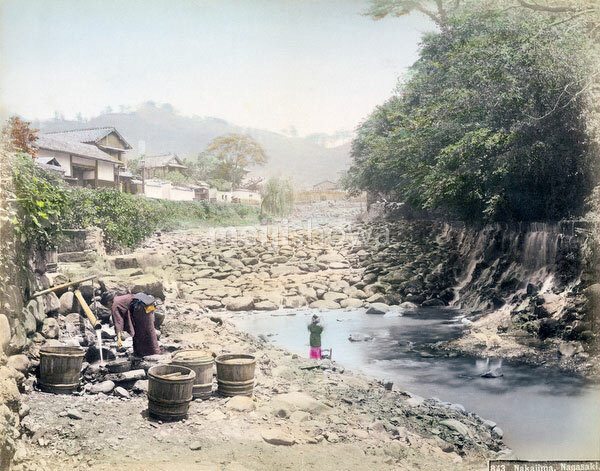 Women get water at the Zeniyagawa River (Nakashimagawa River), Nagasaki. The white-walled house is the residence of Nagasaki based photographer Hikoma Ueno. It was built in 1882 (Meiji 15).